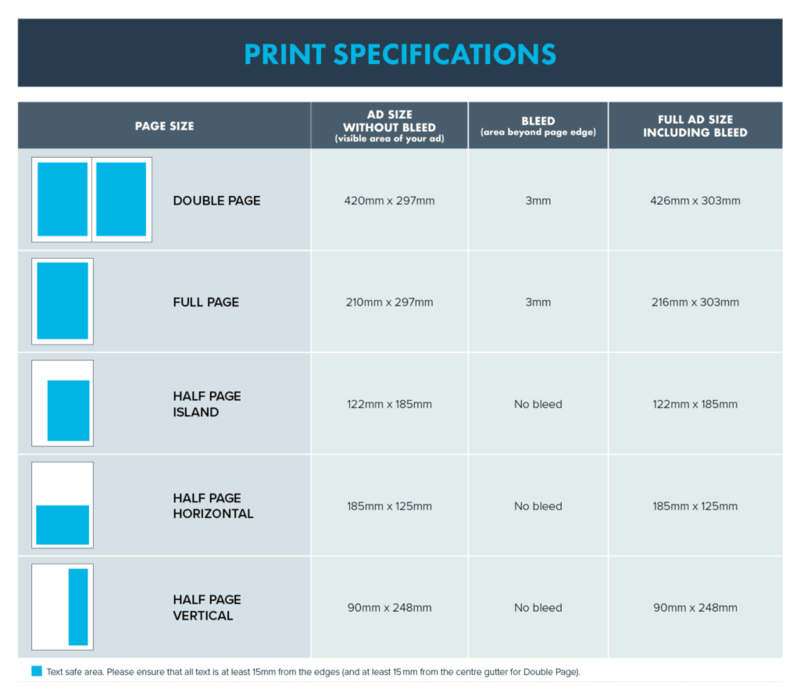 Preferred format is print ready PDF. Full page ads should include 3mm bleed on all sides, which is trimmed after printing. Use process colour (CMYK) only. If you require spot colour, please contact us for a quote. Avoid placing text within 10 mm of edge. Images can be TIFF, EPS or JPG and must be at least 300 DPI. Feel free to send a mockup, but please still send images as separate files (not embedded in Word or any other file). Include a caption for each image. 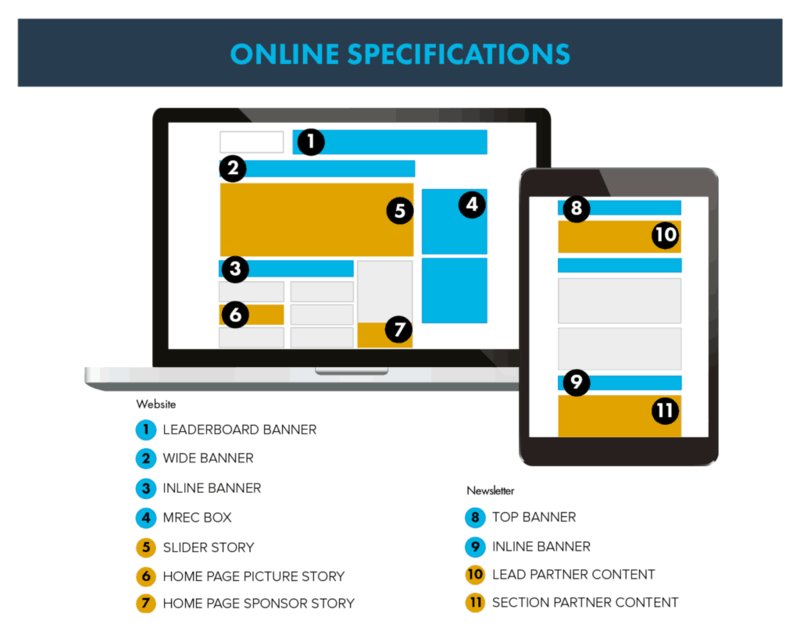 Online ads: The following formats are supported; jpg, png, bmp, gif. Animation is supported on the website only. Files should be no larger than 50 kB, or 75kB for Leaderboard banner.